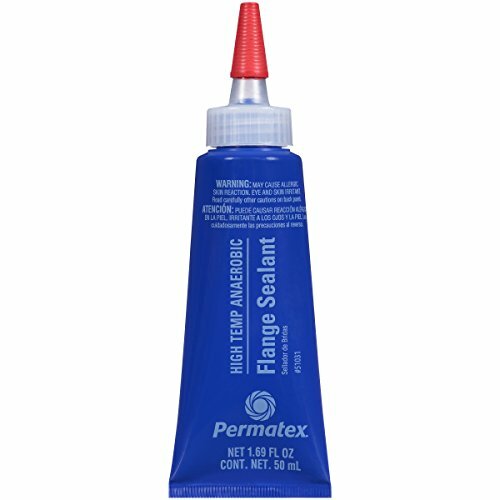 Permatex High Temperature Anaerobic Flange Sealant is specially engineered for making or dressing gaskets in rigid assemblies. Able to withstand temperatures to 400 degrees Fahrenheit, this sealant fills gaps up to 0.020 inches and permits clamping loads to be maintained for strong, leak proof assemblies. Suggested Applications: water pumps, thermostat housings, transmission pans, transmission case covers, transaxle casings, timing covers, and o-ring replacement.